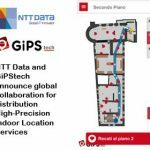 Rende – July 24, 2018 GiPStech, a tecnology company developer of the industry’s leading hybrid geomagnetic indoor location platform, announced its inclusion in the “Cool Vendors in Location Services and Applications” report by Gartner, Inc.
Companies selected for Gartner’s Cool Vendor report are chosen for being innovative, impactful, and intriguing. 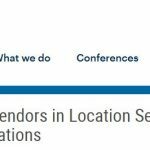 The Gartner “Cool Vendors in Location Services and Applications” explain how location is an important criterion necessary to manage an asset and how I&O leaders can employ innovative technologies and applications that use one or more options to provide the location of an asset, no matter where it is located, at any time. Gartner Gartner, Inc. (NYSE: IT), is the world’s leading research and advisory company and a member of the S&P 500. We equip business leaders with indispensable insights, advice and tools to achieve their mission-critical priorities and build the successful organizations of tomorrow. Our unmatched combination of expert-led, practitioner-sourced and data-driven research steers clients toward the right decisions on the issues that matter most. We’re trusted as an objective resource and critical partner by more than 15,000 organizations in more than 100 countries—across all major functions, in every industry and enterprise size.